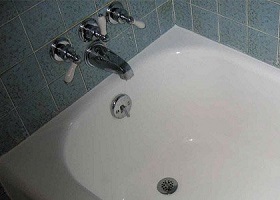 Trust Earl’s with all of your plumbing needs. 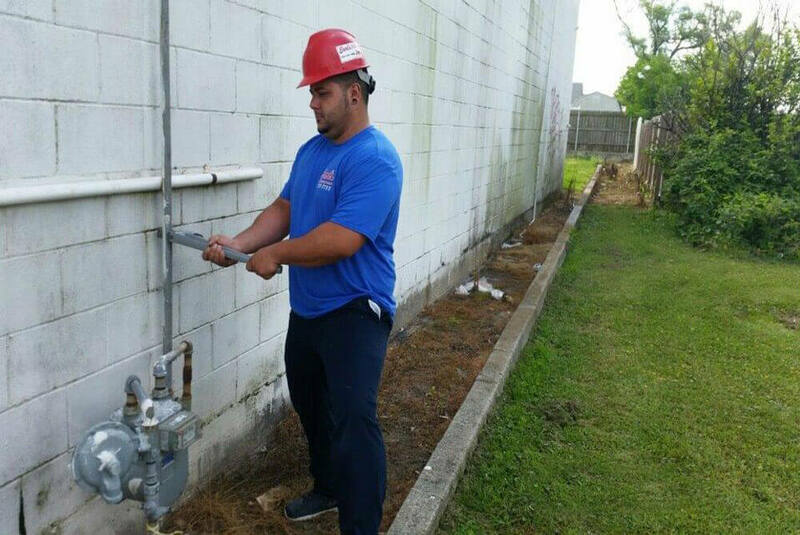 Our licensed and trained technicians can assist you with gas leaks, gas inspections, and gas line installations. 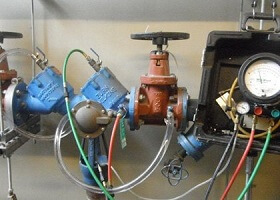 Need a gas meter? 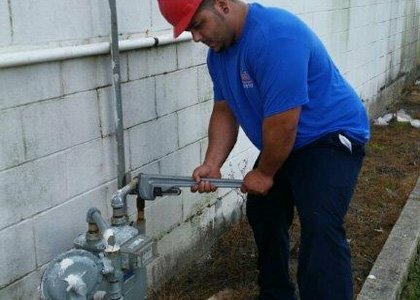 Gas inspections and filing with local code enforcement are frequently required for gas meter installations. 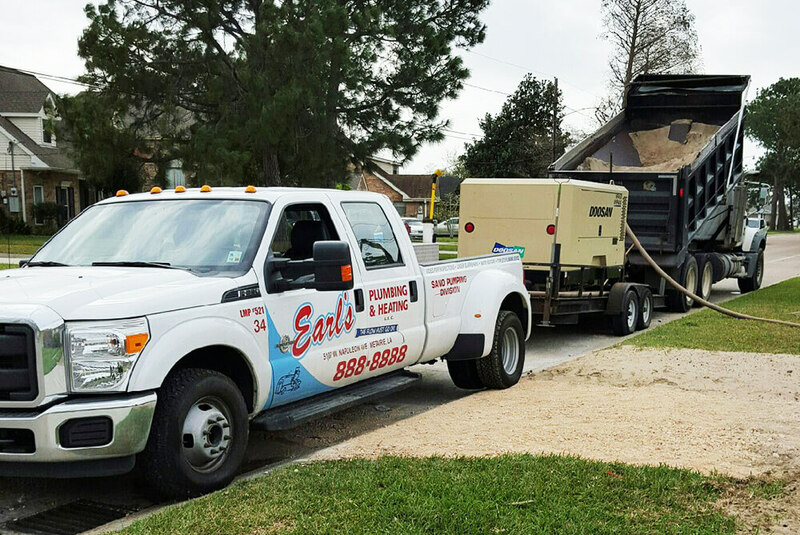 Earl’s can get your job filed and inspected safely and quickly. 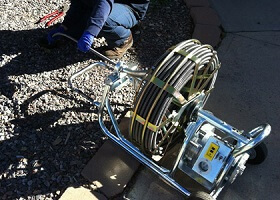 Sewer lines back up due to blockages. 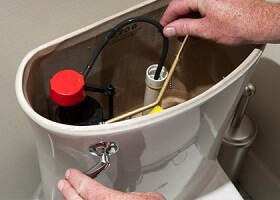 Blockages can include root intrusion, debris or grease build-up in the line, or a cracked pipe. 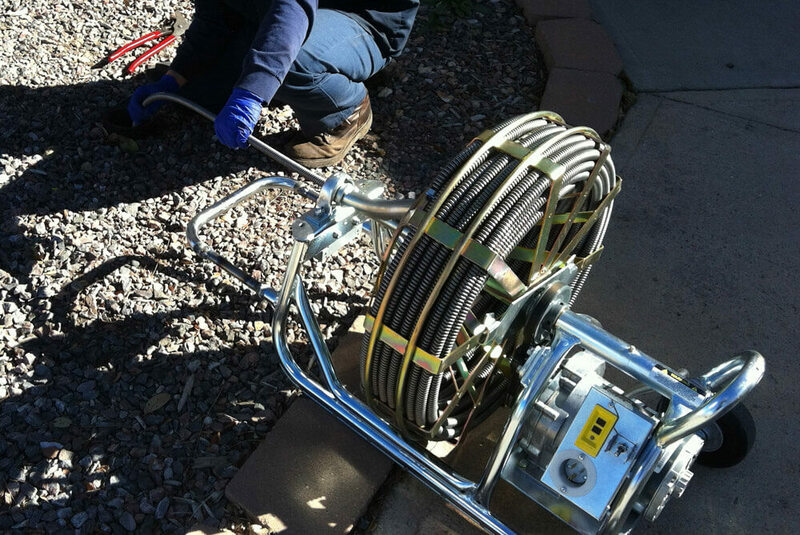 Our professional technicians can handle all of your sewer and drain cleaning needs. 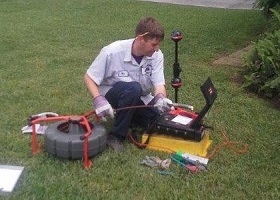 Video pipe inspections detect problems with drain lines. 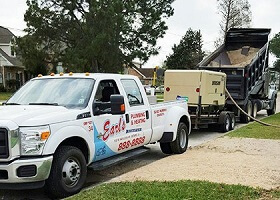 Our video pipe inspection reveals the cause of sewer and drain issues and gives the plumber the exact location of the issue so that we can provide an accurate estimate to our customers. 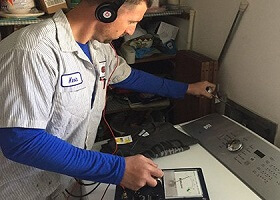 Ask about our Free Video Inspection with any Tunnel Job! 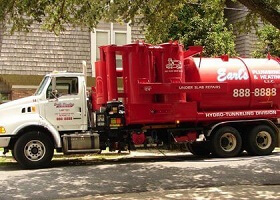 Hydro Tunneling is a process of using a high pressure water jet in conjunction with a vacuum truck to loosen and remove the soil from around the broken pipes under the slab for replacement. 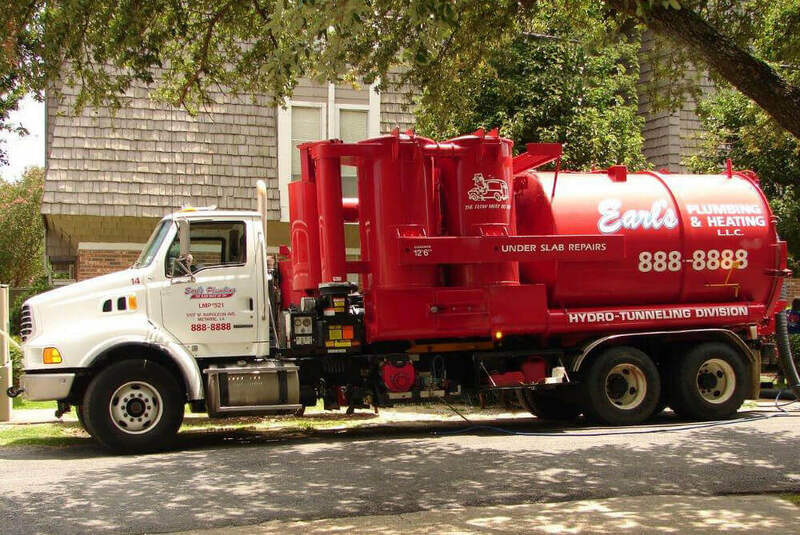 Earl’s has an in house back fill and sand pumping division that utilizes a clean and efficient dry back fill process to “blow” sand under slabs - This process is used to backfill our tunnels. 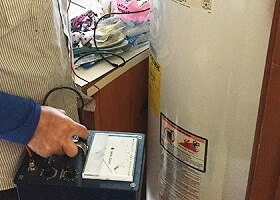 This method of leak detection saves time and money in finding the leaking water pipe, tracing how the water lines are run throughout the house, and determining the most cost efficient method to “re-route” the line. As copper water pipes under the slab age and deteriorate, they can leak and cause damage to the house structure. 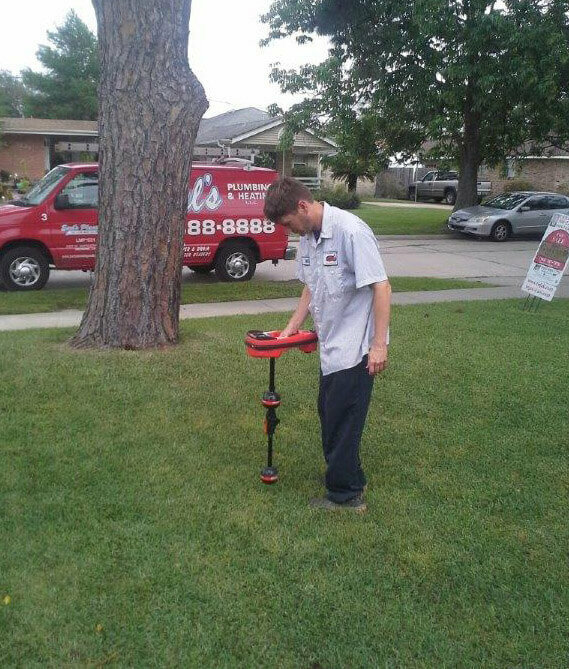 These “slab leaks” can be repaired by re-routing the water line above the slab to completely eliminate the leaking line. The water service is the main water line from the house to the meter. 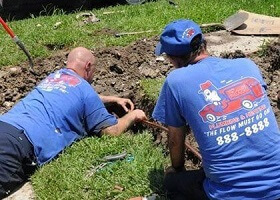 We recommend digging up and replacing the entire line with copper pipe when repairs are needed. 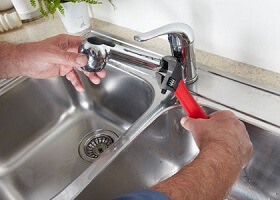 When taking a drink of water from a tap, customers expect that water to be safe to drink. 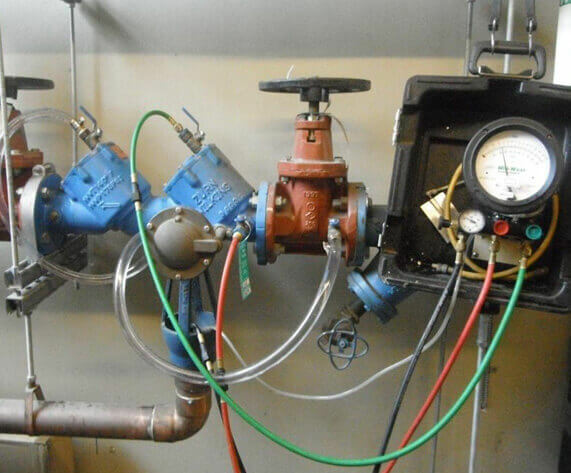 Our water supply protection specialist (WSPS) endorsement insures there are no cross connections between the drinking water supply and any other source of cross connection or contamination. 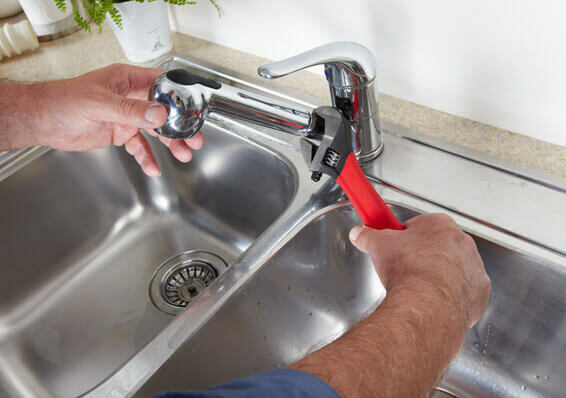 Let our licensed and insured plumbers assist you with all of your sink and faucet installations and repairs. 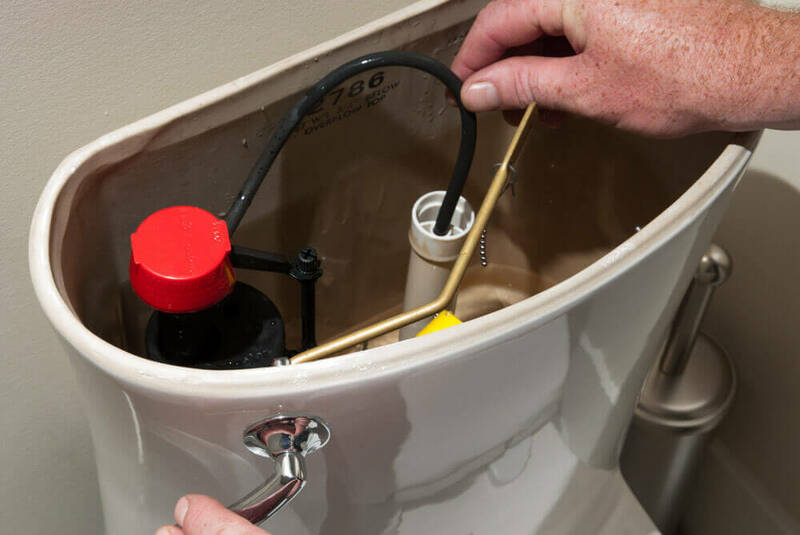 Our experienced plumbers can assist you with all of your toilet repairs including: Running Toilets, Toilets leaking from the tank, Toilets leaking at the base, Valve repair or replacement for toilet water lines and much more! 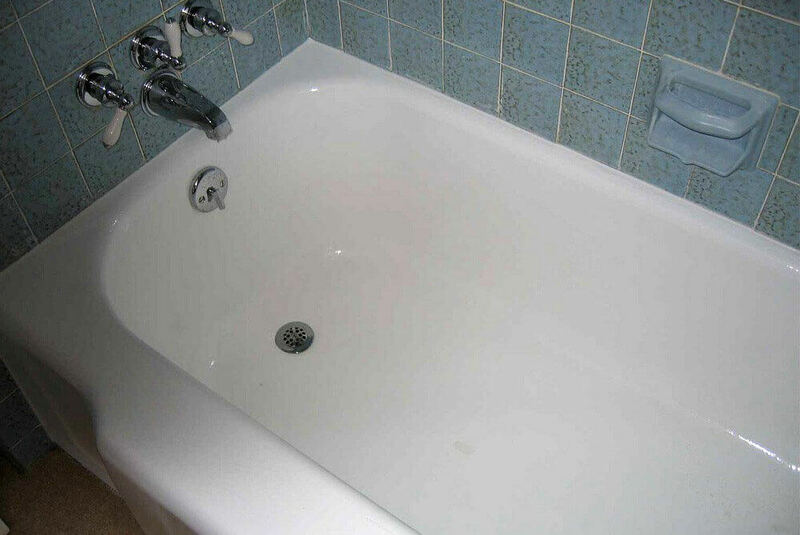 Our technicians are highly trained and certified to handle all tub and shower repairs. 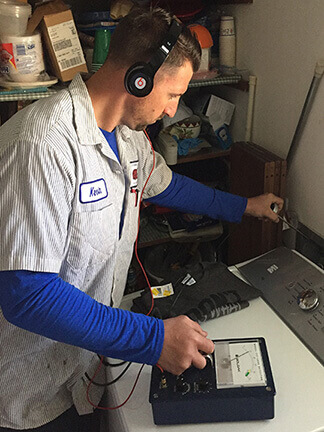 We take pride in doing the repair right the first time. 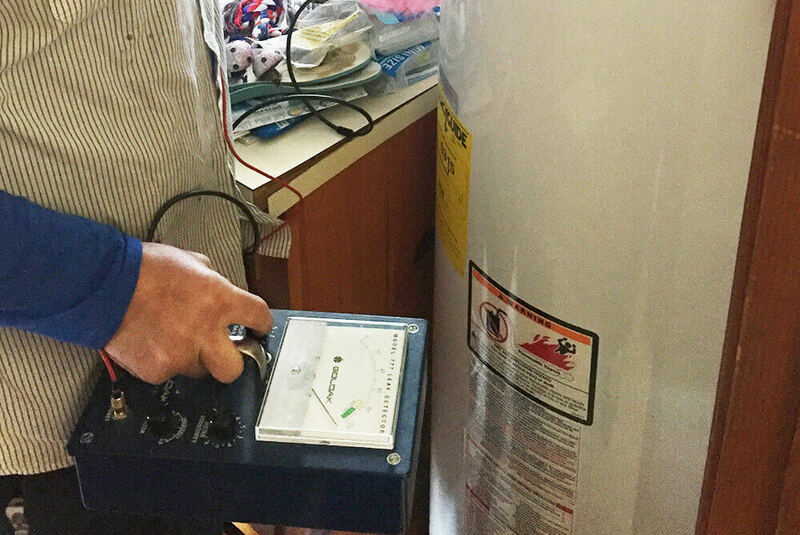 Earl’s can install Gas, Electric, and Tankless water heaters. 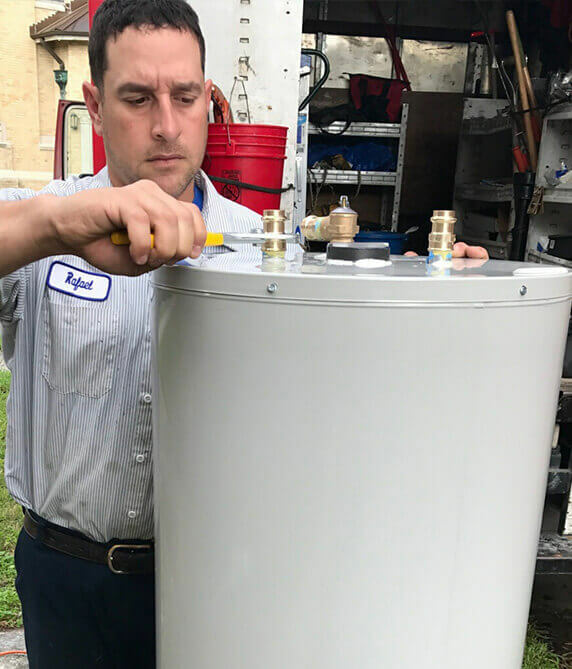 Our qualified technicians will install water heaters designed to fit your local building and plumbing codes. 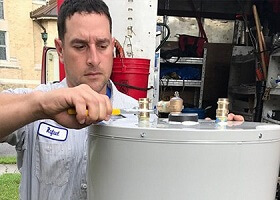 Our mission is to provide a fast and reliable service. 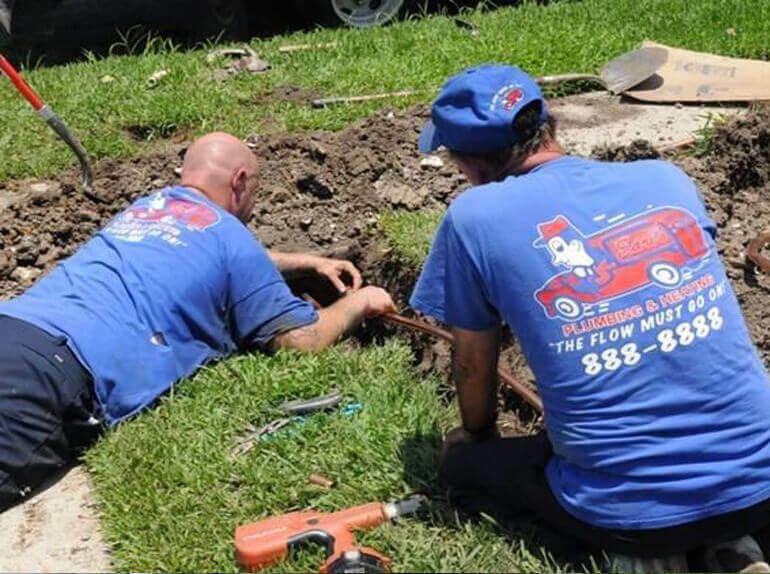 At Earl's Plumbing, Sewer and Drain, we strive to meet the needs and expectations of our customers. Our satisfied customers always return and we want them to know that we will be there when they need us. Join our mailing list to stay up to date for our newest coupons and specials.